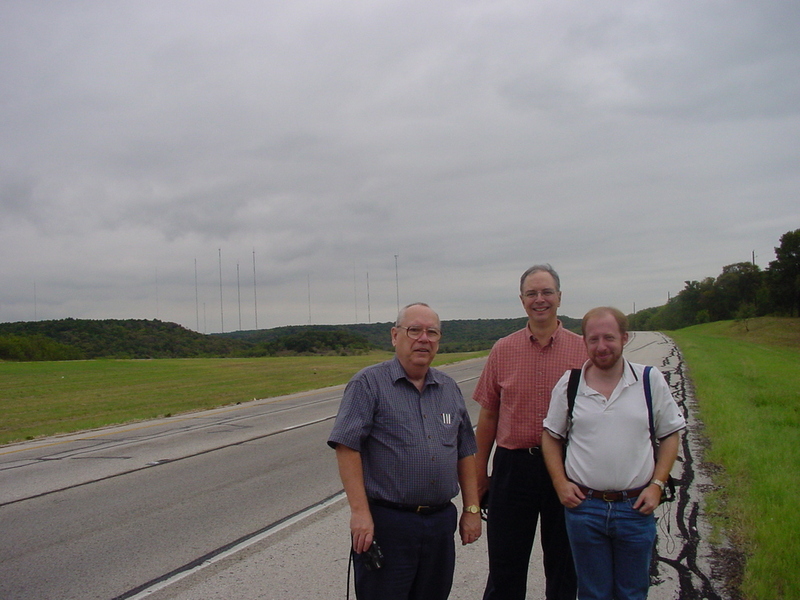 Three members of our four-person party pose alongside FM 1382 approaching the Cedar Hill tower farm, with the towers themselves seen at center background. From left to right: John Callarman, Wally Wawro, and Scott Fybush. The main group of Cedar Hill towers is located on West Belt Line Rd. west of US 67. Copyright 2002, Garrett A. Wollman. All rights reserved. Photograph taken 2002-10-11.